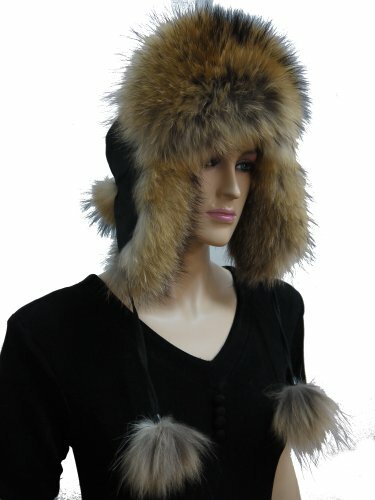 This beautiful classic hat is made by fabric and raccoon fur, decorate with pom poms. This stylish hat make you worm and cute through the whole winter. Very comfortable fit and soft. The perfect choice for any fashion lover. Unisex. One size fits most.